Authorities have identified 64-year-old Stephen Paddock of Mesquite, Nevada, as the suspected gunman in the massacre that left 59 dead and more than 500 wounded Sunday night at a Las Vegas casino. 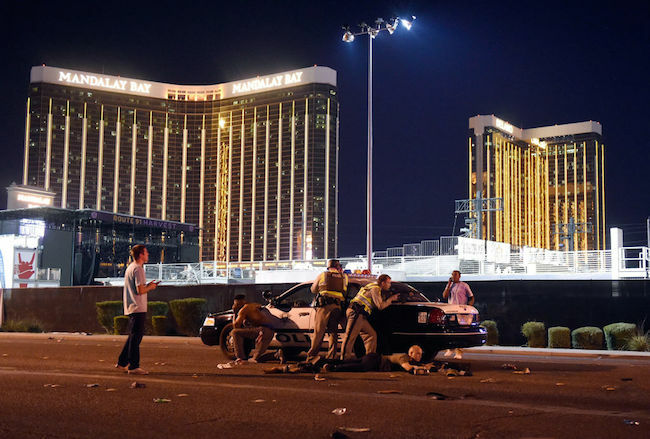 Paddock opened fire from the 32nd floor of the Mandalay Bay Hotel on the crowd of 22,000 gathered below to watch Jason Aldean perform at the Route 91 Harvest Concert. SWAT officers found him dead from a self inflicted gunshot wound after breaching the door to his hotel room. Authorities said they have not yet determined Paddock’s motivation or any ideological commitments that may have prompted the attack. But the Islamic State claimed responsibility Monday morning. The suspect “converted to Islam several months ago,” according to the statement. U.S. officials, however, said there is no evidence that the suspect was connected to foreign terror groups. Authorities found 23 firearms, including two scoped rifles mounted on tripods, and hundreds of rounds of ammunition in Paddock’s hotel room. SWAT officers were reportedly alerted to Paddock’s position after smoke from his weapon set off the smoke detector in his hotel room. He reportedly established a camera to monitor their approach and turned his gun on himself as officers entered the room. Las Vegas Metropolitan Police Department (LVMPD) Sheriff Joe Lombardo said police found an additional 19 firearms in the shooter’s home as well as “some explosives, and several thousand rounds of ammo.” A search of his car yielded ammonium nitrate, an ingredient in fertilizer frequently used in home made explosives. Christopher Sullivan, general manager of Guns & Guitars, a local Mesquite Nev. gun shop, told the New York Times he sold the gunman two rifles and a handgun within the last year. Sullivan said he was contacted by the FBI, Bureau of Alcohol, Tobacco, Firearms and Explosives and the LVMPD. He maintained that he cooperated with the authorities but refused to describe the purchased weapons in detail. Lombardo said Paddock, a former accountant, had a pilot’s license and a hunting license and no criminal record. A search of his home yielded at least one weapon and ammunition. 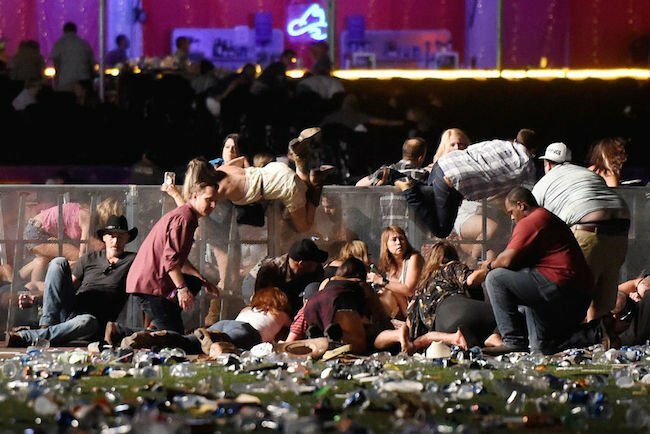 Paddock engaged in tens of thousands of dollars in gambling transactions in the weeks leading up the attack. He reportedly did much of his gambling at Mandalay Bay Casino, where he was a VIP known for playing high dollar video slots. It remains unclear whether the transactions were wins or losses, law enforcement officials told NBC news. Sources: Last night’s shooter, Stephen Paddock, was a well-known VIP gambler at Mandalay Bay. Played high-limit video poker, $125 per hand. The suspect’s brother, Eric Paddock, said his brother had no history of mental illness or known political or religious affiliation. He later described the shooter as a multimillionaire real estate investor with a penchant for cruises and gambling. “He was a wealthy guy and he liked to play video poker and he liked to go on cruises,” Eric Paddock told reporters outside of his home in Orlando, Florida, on Monday. The elder Paddock’s criminal career even warranted appearances in the New York Times and Life. 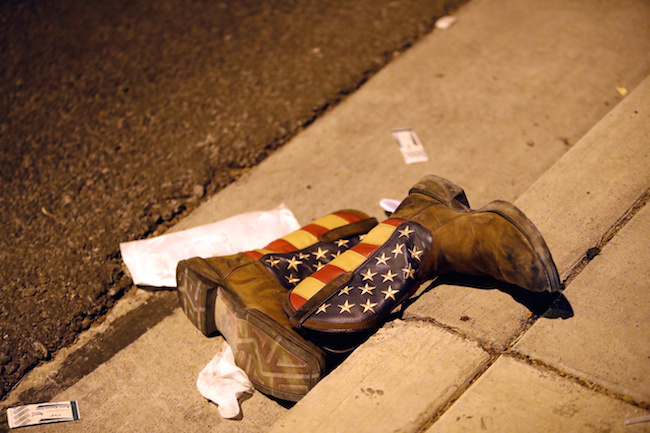 Meghan Karney described the horrific scene that unfolded after the shots began to rein down on the concert. “We heard what sounded like firecrackers going off. Then all of a sudden we heard what sounded like a machine gun. People started screaming that they were hit… When we started running out there were probably a couple hundred [people] on the ground,” she told MSNBC. Videos taken at the scene show mass hysteria as gun shots rang out and the band fled the stage.